← Run the 6th Annual FLATS Trail Half Marathon! Following the successful completion of FLATS Phase 1 – a beautiful 8 foot wide section of the trail that runs along Forest Lake from the dining lodge, to the petroglyph site, and campground #2 that was funded by the Recreational Trails Program – FLATS was awarded a second Recreational Trails Program grant to construct a .7 mile section of trail starting at the corner of Osteopathy and Missouri Street in Kirksville, and heading west through a beautiful wooded area along the south side of Missouri Street. 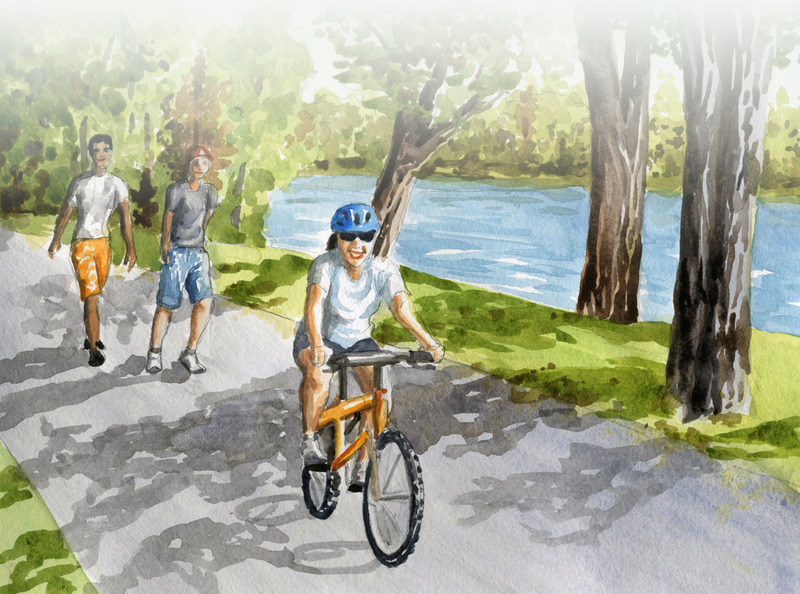 This section of the trail will bring us a step closer to our goal of building a trail that connects Kirksville and Thousand Hills State Park, making the park accessible to all users and bringing the beautiful outdoors a little closer to us all. Stay tuned to this page for updates as we raise matching funds for this section of FLATS and get ready to break ground.